Chia Seed & Recepies Whether they’re blended into breakfasts, crunch-ifying lunch, or baked into desserts, chia seeds make a delicious and nutritious addition to just about any meal. 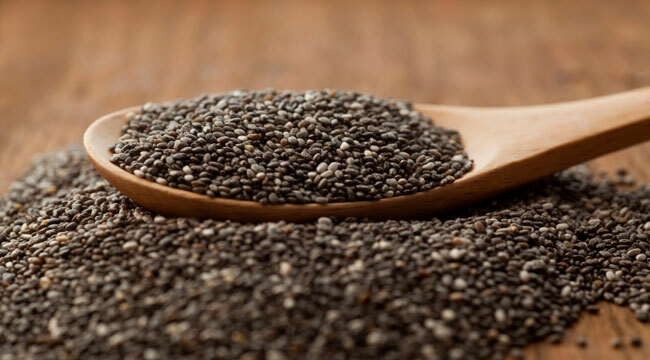 On top of being packed with omega-3 fatty acids,this seeds offer a healthy dose of antioxidants, calcium and fiber. Eating them is also a great way to stay hydrated, since they absorb up to 10 times their weight in water. 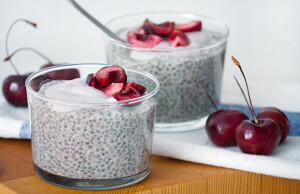 Many of the recipes below start with what’s called a “chia gel” or “chia pudding.” Meaning: When chia seeds are left to sit in a liquid, they absorb some of it. 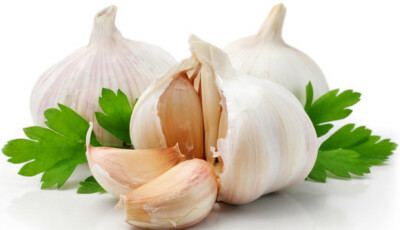 This makes these seeds great for thickening batters, jams and smoothies, and also keeping baked goods moist. When life gives you lemons… make a loaf! 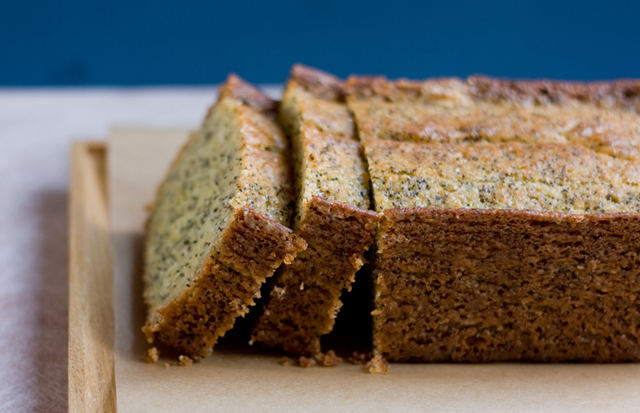 This healthier, modern take on classic lemon poppy seed cake swaps out butter for coconut oil and adds chia seeds in addition to poppy. A healthy dose of yogurt keeps the cake moist while the zest of two lemons lends a deep, lemony flavor. Here’s a bona fide chia-based dessert recipe — and it’s pretty inventive, too. First, you blend almond milk, cherries, cardamom, stevia and vanilla into a smooth and creamy mixture. Then, soak the chia seeds in it until thickened. This pudding is topped with homemade cashew cream, which is made by blending water-soaked cashews, cherries, vanilla and stevia. We promise, this one will impress any dinner guest We promise, this one will impress any dinner We promise, this one will impress any dinner guest We promise, this one will impress any dinner guest. 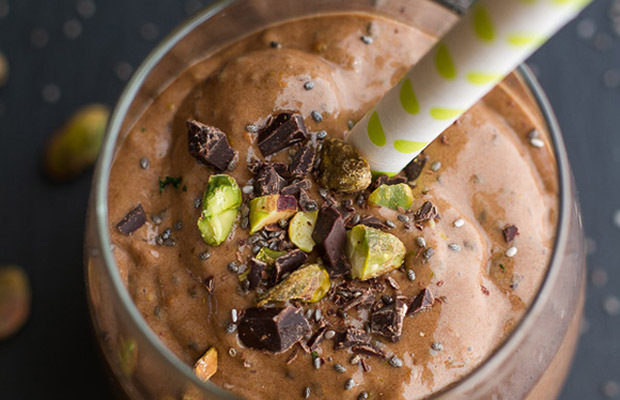 Even though this recipe is called a “shake,” it’s almost more like soft-serve ice cream. It starts with a chia seed-almond milk pudding for thickening power. Then, the mixture is blended with medjool dates (for sweetness), roasted pistachios, frozen banana, cocoa powder, Greek yogurt and vanilla extract. Add some extra almond milk if you want it to be slurpable, or pull out a spoon to enjoy as a frozen-ish dessert (or breakfast). Almond flour, tapioca flour and flaxseed meal come together to make the base of this moist, gluten-free breakfast-friendly cake. Banana and eggs help to bind everything together, and vanilla extract, coconut milk, honey and coconut oil add to the naturally sweet flavor. 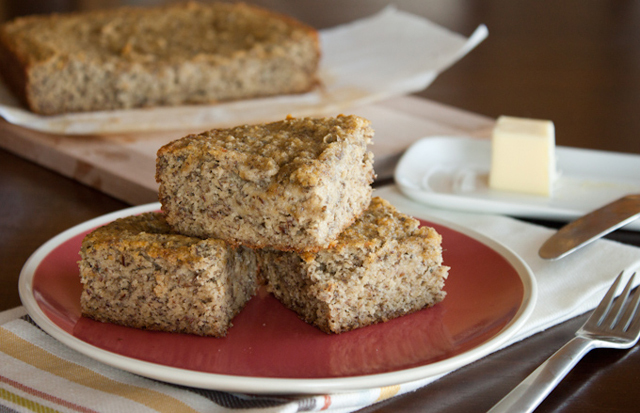 While the name says “cake,” the wholesome ingredients in this recipe make it healthy enough to count as breakfast or a snack, too. 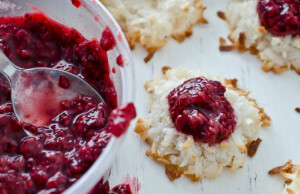 Top with a bit of butter for breakfast, or add a dollop of cream cheese frosting to make it a healthier dessert option. 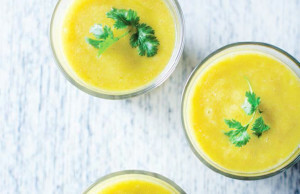 Serrano chile and fresh ginger give this smoothie a spicy kick, while a combination of chia seeds and pineapple juice thicken the mixture. Feel free to stick this in the freezer for 10 minutes before serving if you’d prefer a colder beverage. 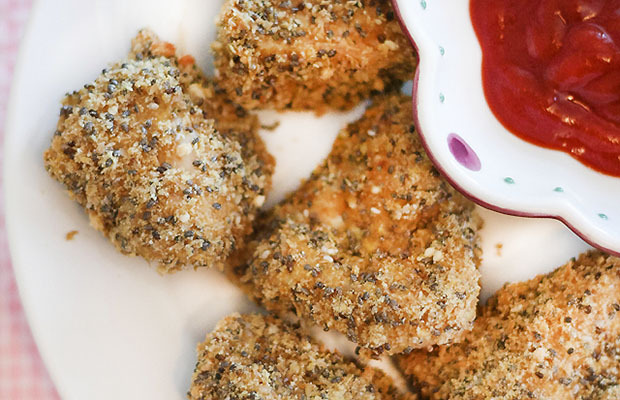 These gluten-free chicken tenders are breaded with chia seeds, ground flaxseed, Parmesan cheese and herbs for a healthier take on this classic finger food. Then, they’re baked to perfection. Cook up a double batch and freeze half for a quick weeknight meal on-the-go. 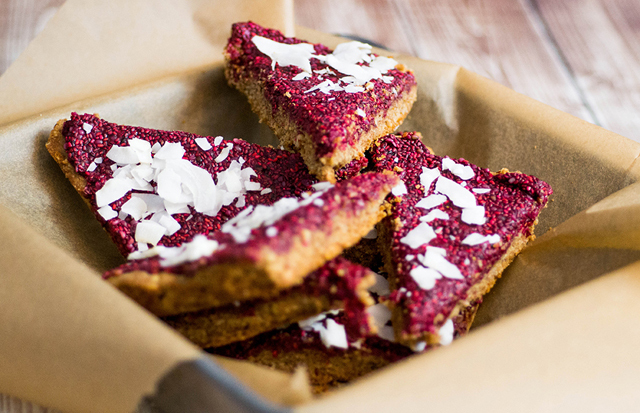 Healthier cookies are always a good thing. These light and soft coconut macaroons are super easy — just combine shredded sweetened coconut, coconut cream, maple syrup and corn starch. Top the mixture with a spoonful of Raspberry Chia Seed Jam, bake and enjoy this slightly sweet and fruity treat. This bright purple breakfast bowl is one way to liven up classic oats. 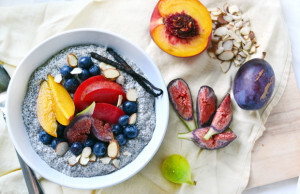 Plus, it’s packed with superfoods: oats, chia seeds, maca and spirulina, to name a few. 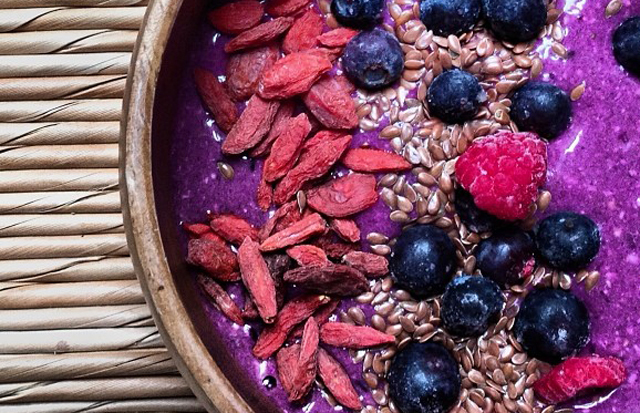 Blend it all up, top with frozen blueberries and raspberries, goji beries, flax seeds and more chia seeds, and enjoy. Soak chia seeds in vanilla almond milk the night before to create the base for this nutritious breakfast bowl. In the a.m., mix it well, spoon it out, and top with your favorite fresh fruit and nuts. The pudding will keep in the fridge for up to five days, so feel free to mix up a big batch on Sunday night and eat it for breakfast all week. 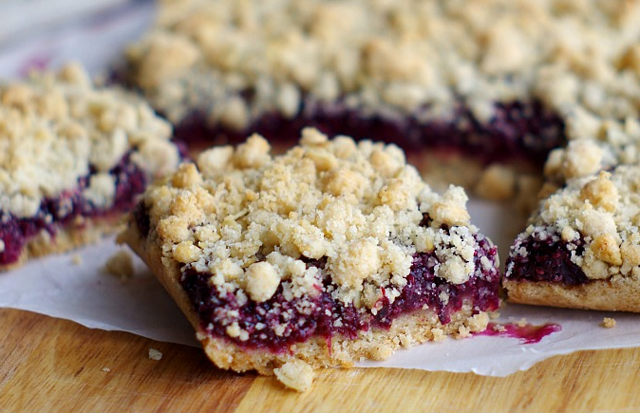 Here’s a healthier take on classic jam-crumble bars. This recipe cuts down on the butter and sugar and adds in more fresh fruit. It all starts with a chia seed-blackberry mixture to create the fruity filling. Let it thicken up, and then spread a layer between a mixture of gluten-free flours and oats, cinnamon and a bit of sugar. 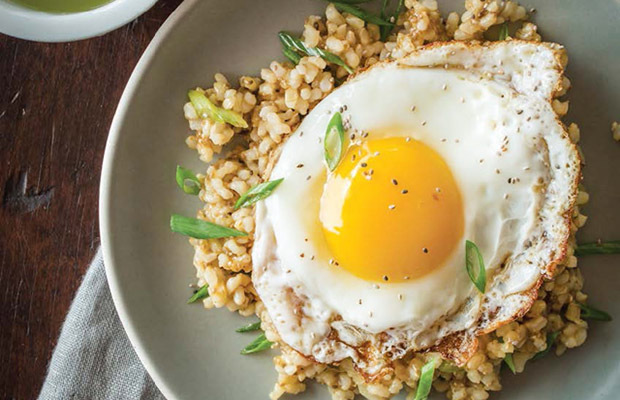 Chia seeds add crunch and extra omega-3s to this simple sticky rice and fried egg dish. Enjoy it for breakfast, lunch or dinner — it will keep you satisfied any time of day. These protein-rich almond flour and rice flour bars are topped with five-minute , jam for a breakfast-friendly treat that’s delicious enough to pass for a dessert, too. 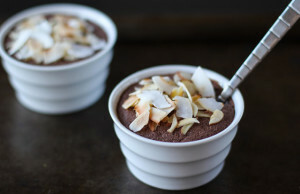 Top with coconut flakes for a bit of extra sweetness and crunch. 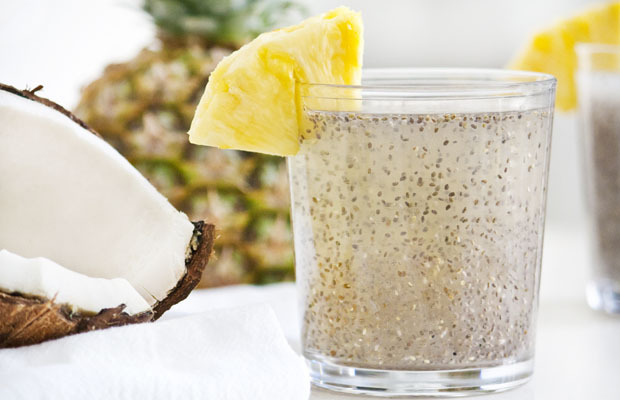 This tropical beverage is packed with omega-3 fatty acids and potassium, thanks to fiber-filled it haand electrolyte-rich coconut water. If you need something to sip after a tough visit to the gym, this is a perfect option. We like to keep it pretty basic — just coconut water, pineapple juice and chia seeds — but you can add a drizzle of maple syrup if you’d like something a bit sweeter. Instead of soaking whole seeds to create a pudding-like dessert, this recipe grinds them first for a smoother, more mousse-like texture. The recipe is pretty simple to assemble — just combine ground seeds, coconut milk, coconut butter, cacao powder and sweeteners. But the real key is allowing it to set for a full 24 hours to thicken up.